When I make Stuffed Zucchini I always end up with more stuffing than will fit in the zucchini halves. This is my solution to the problem. Deconstructed Stuffed Zucchini. The zucchini was sliced lengthwise. I sliced them about 1/8" thick. Or I tried to slice them as thin as I could. The filling was simple. Sauteed diced onions in olive oil. Remove the casing from hot and sweet sausage and add the meat to the saute pan. Cook the meat through. Add one 14 oz can of diced tomatoes. Season with oregano, basil, parsley, salt, and pepper. I sprayed a square Pyrex baking dish with cooking spray. 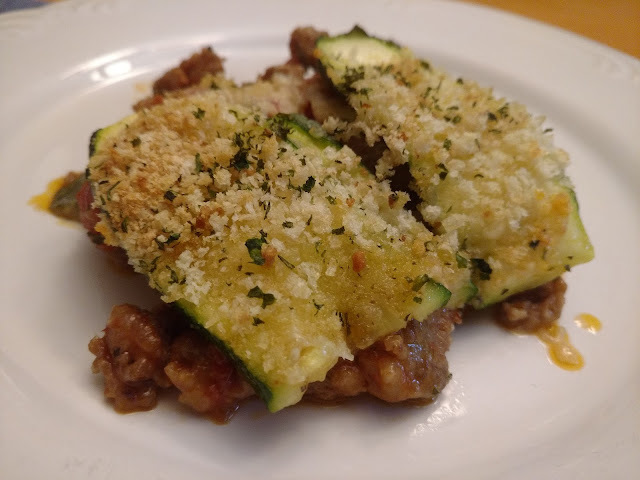 I put a layer of the sliced zucchini in the pan and topped it with the filling. 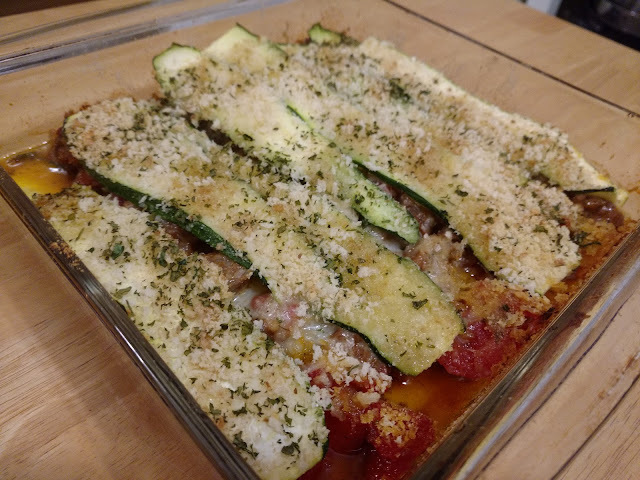 Some shredded Mozzarella and Parmesan cheese on top and then put a layer of zucchini on top. I used 2 zucchini and had enough for the top and bottom layers. 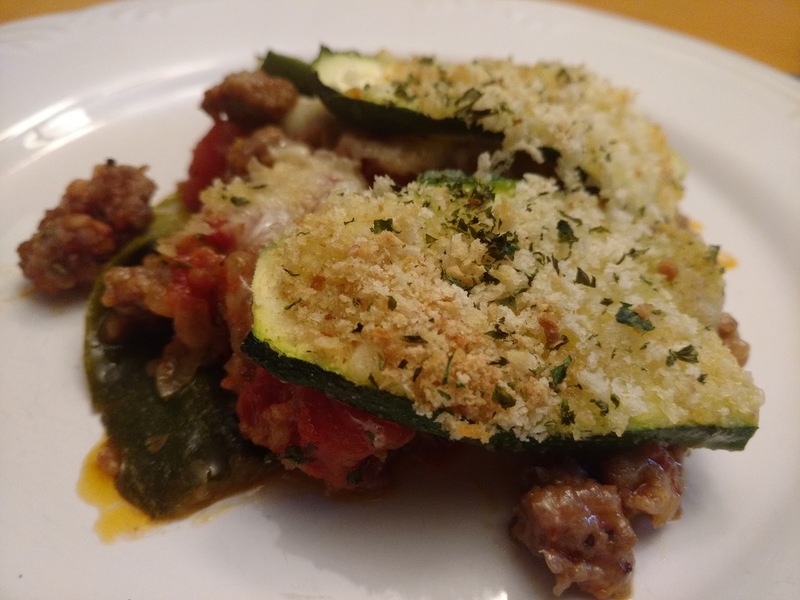 I topped the zucchini with breadcrumbs, parsley, and Parmesan Cheese. It baked at 375˚ for 35 minutes. It was delicious. The zucchini cooked nicely and the seasoning was spot on.